Today’s post is a reprint from Mrs. N.D. Deupree’s “Some Historic Homes of Mississippi,” from Publications of the Mississippi Historical Society, Vol. VI (1902). 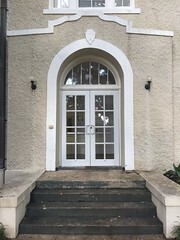 Although the article itself contains no images of Porterfield, I have supplemented it with these wonderful images and measured drawings that a Historic American Building Survey (HABS) team led by Jackson architect A. Hays Town and including Vicksburg architect William A. Stanton made in the 1930s before it was demolished in 1936. According to the HABS notes, the grand house was built in 1851, and the MDAH database speculates that William Nichols may have been involved in its design. 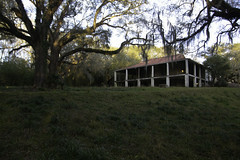 Read more about the house and its sad history in Mary Carol Miller’s Lost Mansions of Mississippi. 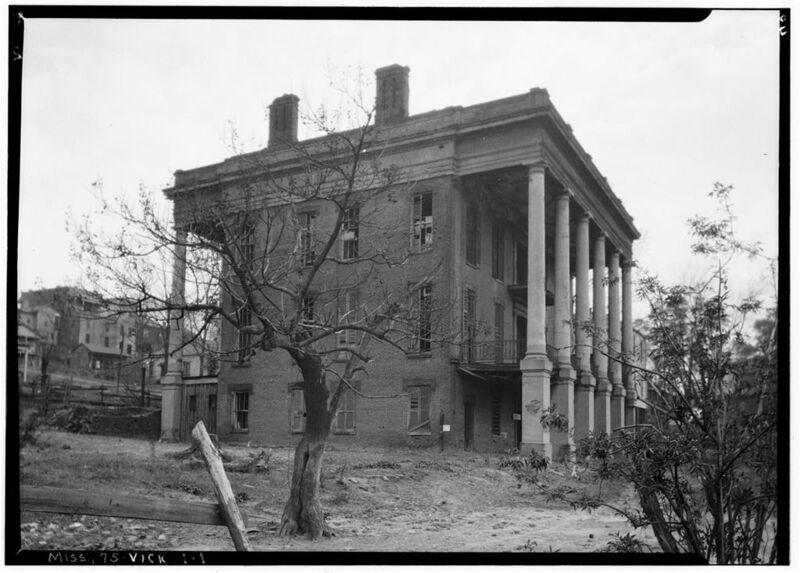 This paper, so far devoted to descriptions of plantation and suburban homes, will now give a story of a city home, the “Porterfield” home of Vicksburg. It is a large, square-built brick house, three stories high, with long wide halls, three in number, two rooms on each side of the hall on each floor except the first; this has two on the right of the entrance and one, the banqueting hail, on the left, a room 24 by 42 feet, with ceiling 18 feet in height. It is lighted by seven long windows; two of these windows open upon the street; two at the other end of the room open towards the river, looking across the beautiful grounds of the home. The floor of this splendid room is marble in alternate blocks of white and blue; two fireplaces, with mantels and jambs of carved white marble, attest the cheer that blazing fires once lent to festive occasions. The two rooms on the opposite side of the hall are finished in the same style as the one just described. The furnishing of these delightful rooms was in accord with them. The interior finishing is of solid walnut, hand-carved; the work was done by expert workmen from the East. The house has two fronts, the one towards the river commanding a view of the grand old river for miles down, and up to where the Yazoo pours its flood into the “Father of Waters.” Across the river may be seen the fair fields of Louisiana. In the grounds around the house are found trees and shrubs from many parts of the world; stately trees of lebanon, camphor, bay, coffee, palm, and tea mingle their branches with the magnolia, japonica, oak, and cedar of our own sunny land. 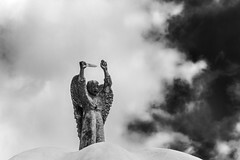 A large basin, shaped like a horse-shoe, with a bronze cross in the center of the curve, attracted the attention of a recent visitor who asked the meaning of a device so strange in the yard; without speaking, a member of the home turned a faucet, and the meaning was at once explained—the water burst from the top of the cross and fell in a shower to the horse-shoe basin. Around the basin were masses of lovely aquatic plants. During the late war, Grant shelled the house for three weeks, thinking it was Pemberton’s headquarters, but Providence held a protecting hand over and about the beautiful home, and but one shell touched it. 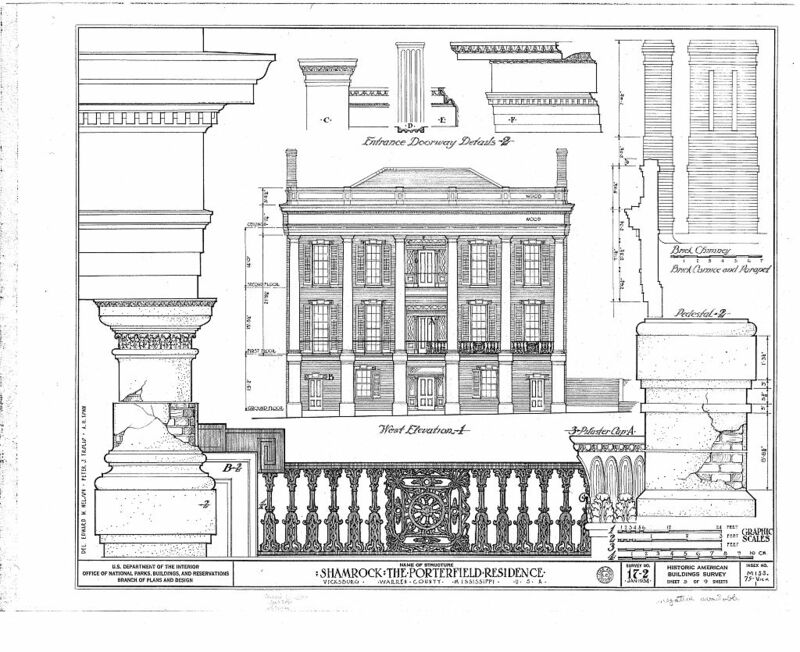 This entered the open dining room door, ranged upward through the long room, went through the ceiling, tore off about three feet of the facing of the parlor door, then out through the open front door, split off a part of one of the immense Corinthian pillars which support the veranda roof, then cut the top of a cedar off fifteen feet from the ground; but even the cedar was not to be vanquished by the guns of an enemy. It grew and flourished for twenty-five years, then yielded to Nature. When the war alarm sounded over the land, calling the men to strike for home and right, Albert Sidney Johnston was among the first to answer the call. Albert Sidney Johnston, the lifelong friend of the Porterfields, at once called young Porterfield to a position on his staff, and presented him with a handsome horse and saddle, which were in constant use during the four years of war. The saddle and other accoutrements are among the valued treasures of the old home. This home was for years the resting place of the Davises, Albert Sidney Johnston, and other prominent men of affairs in the South when in Vicksburg. A few years before his death, President Davis visited Vicksburg, a guest of the city, and was tendered a reception in this home, which had so often welcomed and entertained him. Publications of the Mississippi Historical Society, Vol. VI (1902), pp. 252-254. 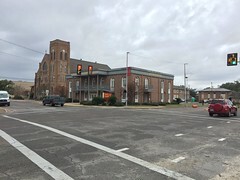 Porterfield House (“Shamrock”), Vicksburg. 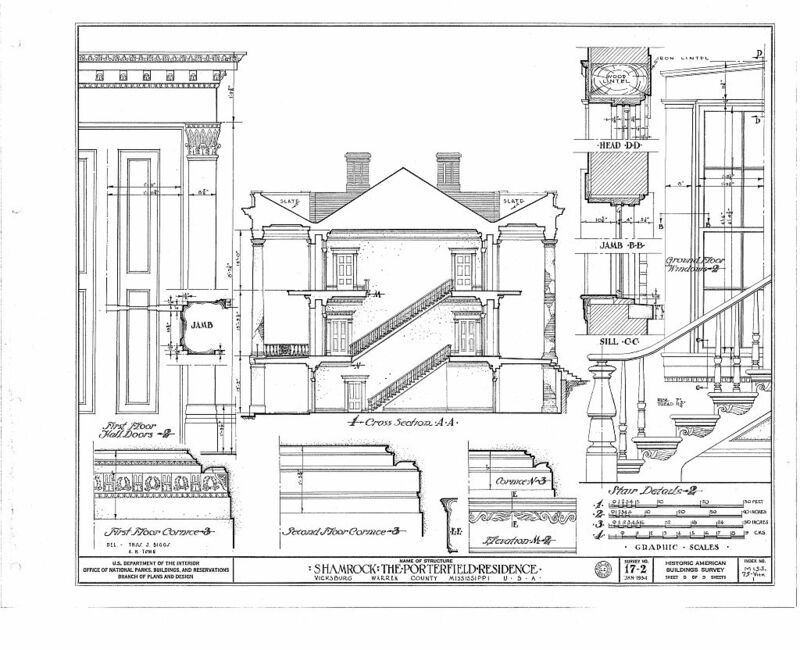 Elevation and details by HABS team, Jan/Feb 1934. Edward J. Nelson, Tom Biggs, A. Hays Town, delineators. Porterfield House (“Shamrock”), Vicksburg. 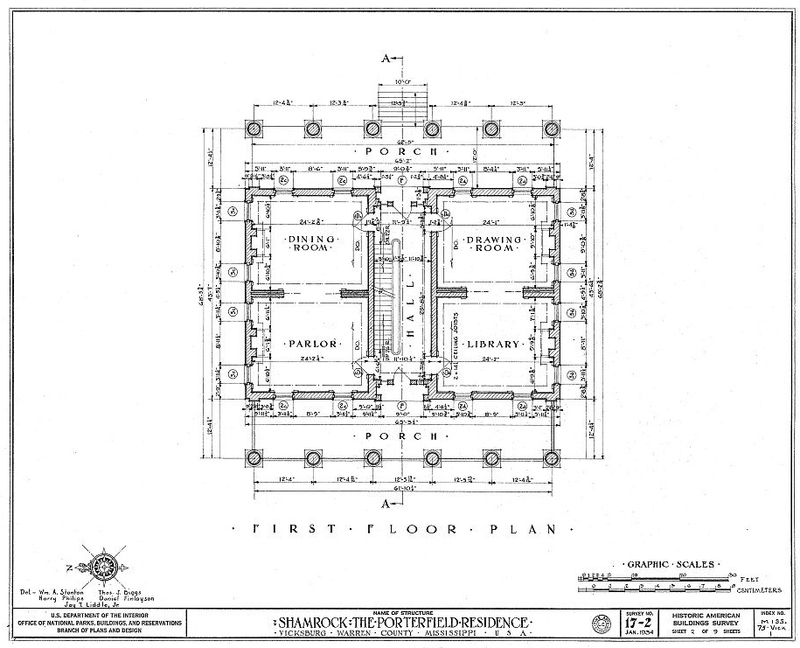 Elevation and details by HABS team, Jan/Feb 1934. Wm. A. Stanton, Thos. J. Biggs, Harry Philips, Daniel Finlayson, Jay T. Liddle, Jr., delineators. This post is part of a series taken from Mrs. N.D. Deupree’s “Some Historic Homes of Mississippi,” published in 1903. Want to read others in the series? Where did this house sit in Vicksburg? Presumably on the Mississippi River side of Cherry Street – but was it on the old, north side of downtown or further south like Cedar Grove? According to the MDAH database, it was at 2020 Oak Street, so south of downtown but not as far south as Cedar Grove. Some of those estates were larger back then though, so I guess it might have originally had property adjacent to Cedar Grove? How sad that this was lost to future generations. I’m glad there is at lease a picture and the plans were saved. I can just imagine the beauty and graciousness of this home! My heart really breaks over this one. I want to go through the screen and hug it. This was truly a sad loss for Vicksburg and the state. One wishes it could be rebuilt, though that doesn’t always produce happy results. Here’s a brief background on ‘Shamrock’: Julia Lyon Porterfield -owner of Shamrock -also known as the Porterfield Mansion, hosted her uncle -Jefferson Davis often since she was the ‘adopted’ daughter of Joseph E. Davis’ daughter Florida and her first husband David McCaleb. Julia was often identified as Jefferson Davis’ niece or cousin. 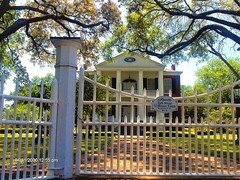 Julia Lyon married William Porterfield who was a widower, and they resided at the ‘Shamrock’ – known as “by far the finest residence” in Vicksburg. 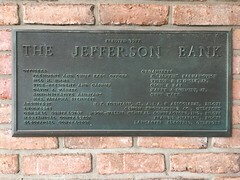 It was built in 1851 on Mulberry at Oak, and considered a healthy location with a full view of the waterfront (see endnotes of “The Papers of Jefferson Davis: 1871-1879” ; 3 December 1875. egoogle book) . After the Civil War, Julia Porterfield accepted boarders at the Shamrock Mansion.